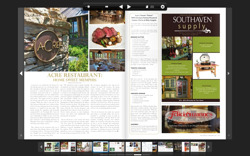 Don't miss the May issue of At Home Tennessee, especially page 86! Shana Raley-Lusk reviewed Acre and included a recipe for our Tomato Tartare. Check it out!